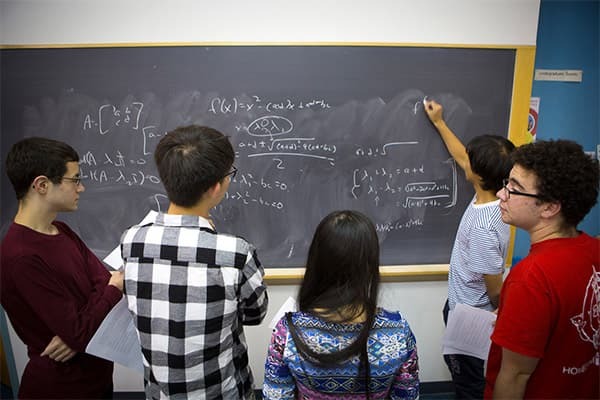 The Department of Mathematics at Cornell University is known throughout the world for its distinguished faculty and stimulating mathematical atmosphere. The 43 tenured and tenure-track faculty represent a broad spectrum of current mathematical research, with a lively group of postdoctoral fellows and frequent research and teaching visitors. The graduate program includes over 60 graduate students from many different countries. The undergraduate program includes several math major programs and a math minor. A wide selection of courses are taught for all types of users of mathematics. Your generosity can make a huge difference for the Cornell mathematicians of today and tomorrow. To make a gift to the department of mathematics.